One of the best parts of a family vacation to Edisto is that it gives families who are scattered throughout the country, and even the world, a chance to come together and get to know one another. I don’t remember my first time coming to Edisto because I’ve been coming since before I could eat solids or walk, but what I do remember is that Edisto has been the one place in my life where all my family has gotten together. In the early days when I was still running around the beach in nothing but a diaper and sunscreen, my great-grandmother, grandparents on both sides, immediate family, aunts and uncles (again, from both sides of the family) and various cousins all got together for two weeks in the summer. It’s strange how a small place like Edisto – where there’s really nothing much to do unless visitors are fans of the beach and the water (and who isnt) – can bring so many people of so many different ages and backgrounds together. I’ve always thought it was fascinating that relatives from both sides of my family would get together at the beach. After all, while most people would never probably admit it, hanging out with in-laws isnt always the most fun thing to do. But there’s just something about Edisto that makes everyone get along. Growing up in various parts of the Midwest and overseas meant that I did not live near my extended family, but we always got together at the beach every summer. Because of this dedication to Edisto, I’ve gotten to know my family. Some of my earliest memories involve me swimming in low tide while my grandpa stood in the surf with a fishing pole in one hand and a cold beer in the other. He used to catch little sand sharks and toss them back in. For some reason, I never really grasped the fact that those tiny sharks were going right back into the water where I was swimming  and apparently neither did my grandpa. I remember hanging out with my cousins while I was still a kid and they were teenagers and thinking how cool it would be when I became a teenager like them. Little did I know that by the time I became a teenager they would all be in their late 20s and early 30s and have kids of their own. Nevertheless, we’re all still close, even if I do refuse to babysit while they’re here on vacation. Friends also always managed to weasel their way down to the beach, too. They started out riding down to the beach with us when we were kids in the family van or later, flying to the beach with us when we lived overseas. Now that we’re grown, they still come to the beach with their own families. With summer getting closer every day, families will start coming down to Edisto week after week to carry out their own traditions. Some might even being coming for the first time not knowing that the power of Edisto will sweep over them so strongly that they’ll find themselves coming back year after year just like the rest of us. Whether this summer is your first or one of many visits to Edisto, book a place now for a week or two here. 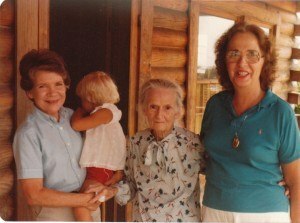 I first brought my 2 young children to Edisto in 1984 on an invitation to tour Fairfield Resorts. We loved it, but as a single mom, I couldn't afford to buy a timeshare. We returned in 1987 with my new husband (who didn't even like beach vacations until he came to Edisto), bought a timeshare, and have vacationed there as often as possible ever since! We vacationed at the State Park as well as the timeshare. My third child has enjoyed vacations there since she was a baby. We love the quiet, peaceful atmosphere, the dolphins and sunsets out on Bay Point, and finding fossils and shark teeth by the bagfull. Even now, none of my children like the frenetic activity of places like Myrtle Beach. Edisto is our favorite vacation spot!